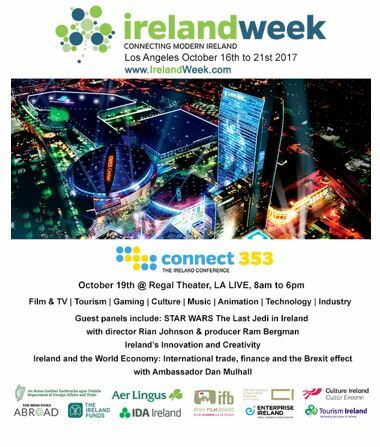 LOS ANGELES, October 23, 2017	(Newswire.com) - In a week of firsts, the inaugural showcase celebration of Irish business and culture, IrelandWeek (https://www.IrelandWeek.com) brought a star-studded, powerhouse conference to its centerpiece, connect353. 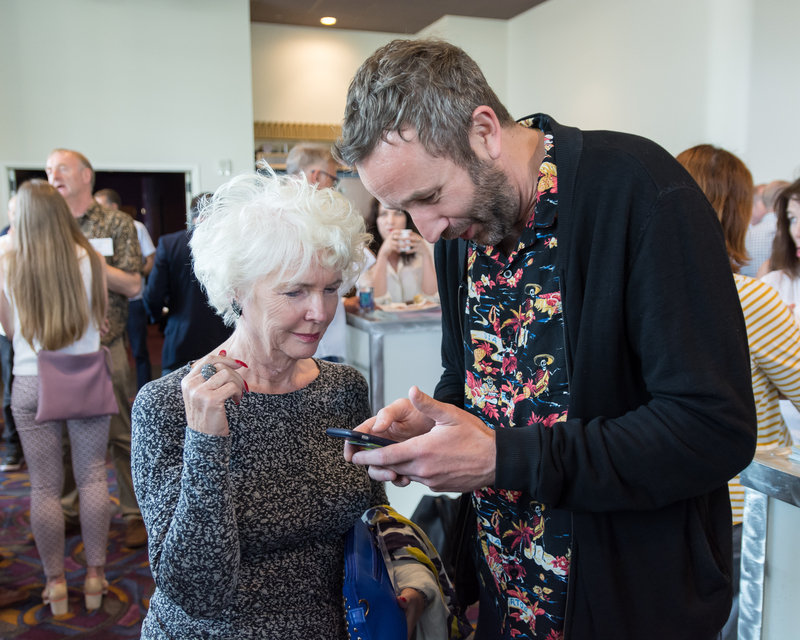 Taking place at Los Angeles’ famed Regal Cinemas @LA Live, connect353 attracted an extraordinary group of industry leaders — from speakers to attendees. 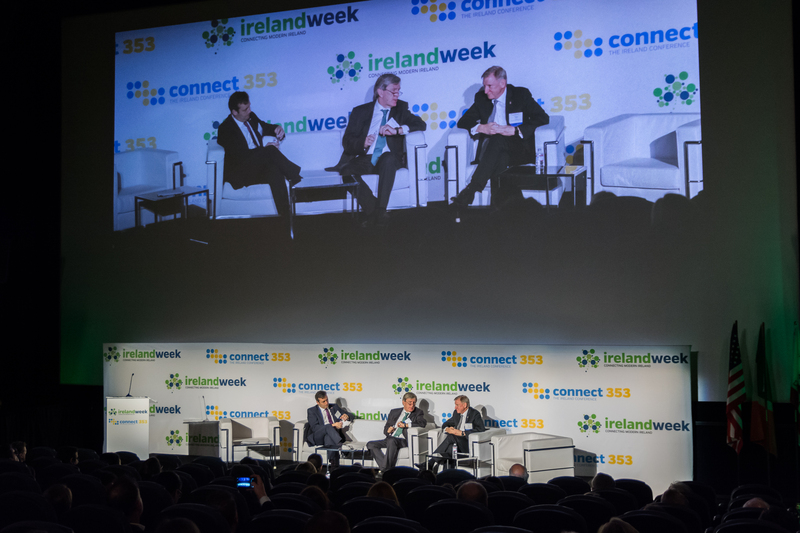 The exclusive presentations opened with Ireland and the World Economy: International Trade, Finance and the Brexit Effect with Irish Minister of State Michael D’Arcy TD and Irish Ambassador to the USA, Dan Mulhall. 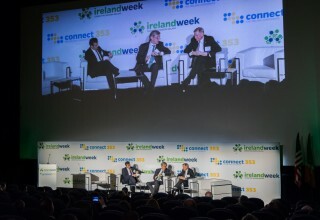 Minister D’Arcy noted, “Creativity links Ireland and Los Angeles closely,” a sentiment unanimously held by all connect353 speakers. 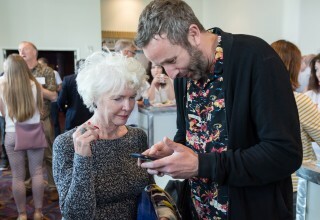 Hollywood Reporter’s Ten Rising Irish Stars rounded out the day with IT Crowd / Bridesmaids and the newly released hit series on Epix, Get Shorty star, Chris O’Dowd. Additional guests and sponsors included: Ireland’s Department of Foreign Affairs and Trade, The Irish Film Board, Culture Ireland, Creative Ireland, IDA Ireland, Tourism Ireland, Enterprise Ireland, Aer Lingus, The Ireland Funds, The California Irish Legislative Caucus, Kensington Caterers, Bank of Ireland Global Payments, Grant Thornton, Silicon Valley Bank and the Irish Times Abroad. and the eradication of poverty and hunger. For more information please visit www.dfa.ie. The role of Bord Scannán na hÉireann/the Irish Film Board (IFB) is the national development agency for Irish filmmaking and the Irish film, television, and animation industry, investing in talent, creativity, and enterprise. The agency supports writers, directors and production companies across these sectors by providing investment loans for the development, production, and distribution of film, television and animation projects. 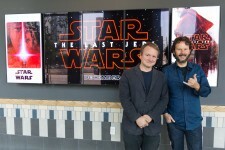 For more information please visit http://www.irishfilmboard.ie. Culture Ireland promotes Irish arts worldwide by creating and supporting opportunities for Irish artists and companies to present and promote their work at strategic international festivals and venues. They develop platforms to present outstanding Irish work to international audiences, through showcases at key global art events, including the Edinburgh Festivals and the Venice Biennales. For more information please visit http://www.cultureireland.ie. Creative Ireland is a culture-based programme designed to promote individual, community and national well-being. The core proposition is that participation in cultural activity drives personal and collective creativity, with significant implications for individual and societal well-being and achievement. For more information please visit https://creative.ireland.ie. Ireland’s inward investment promotion agency, the IDA, is a non-commercial, semi-state body promoting Foreign Direct Investment into Ireland through a wide range of services by partnering with potential and existing investors to help them establish or expand their operations in Ireland. For more information please visit http://www.idaireland.com. Tourism Ireland is responsible for marketing the island of Ireland overseas as a holiday and business tourism destination by delivering world-class marketing programmes in 23 markets across the world and reach a global audience up to 600 million each year. Targeted marketing activity includes advertising online, on TV and outdoor sites, in cinemas and in newspapers and magazines, eMarketing, overseas publicity, co-operative marketing with carriers and other partners and promotions to the travel trade and consumers. For more information please visit https://www.tourismireland.com. ABOUT ENTERPRISE IRELAND Enterprise Ireland is the government organisation responsible for the development and growth of Irish enterprises in world markets by working in partnership with Irish enterprises to help them start, grow, innovate and win export sales in global markets. In this way, they support sustainable economic growth, regional development, and secure employment. You can find detailed information on Enterprise Ireland's activities, strategy, and performance in our Reports and Publications. For more information please visit https://www.enterprise-ireland.com. Music From Ireland is the Irish music export office run by First Music Contact in partnership with Culture Ireland which funds and presents the Irish showcases at large international music conferences. For more information please visit http://www.musicfromireland.org. The O’Neill Group Inc. (ONG) is a full-service Conference, Event and Meeting management company specializing in producing high-quality world-class events for corporations and nonprofits both in the U.S. and internationally with a particular emphasis on Ireland operating since 1999. For more information please visit www.the-oneillgroup.com.